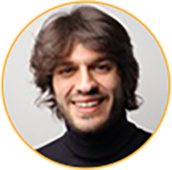 Automate your food production, eliminate food waste and inconsistent food quality. Streamlines your fueling operations at a fraction of what other services charge. 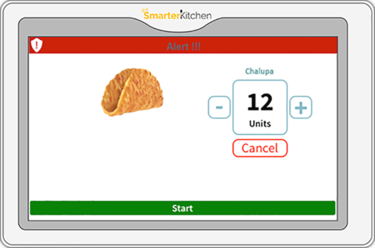 "Smarter Kitchen has made a significant difference in our business. 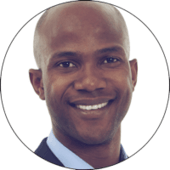 We have seen a substantial increase in our kitchen efficiency, which has resulted in higher revenue and saved labor costs." 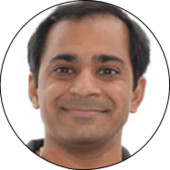 "Smarter kitchen is an accurate and durable kitchen timer.It eliminated our food waste and saved thousand of dollars." "Smarter kitchen has transformed our food production. We were able to reduce our food cost and increase our bottom line." 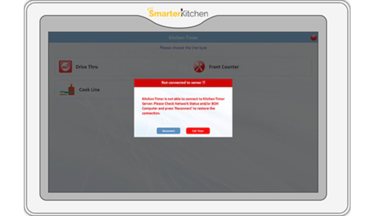 Protect your brand with Smarter Kitchen. The network indicator keeps you informed about the device all the time, if you aren’t, a pop up will appear on the screen alerting that. Smarter Kitchen automatically starts a timer to track hold times when the food is prepared in the production line. 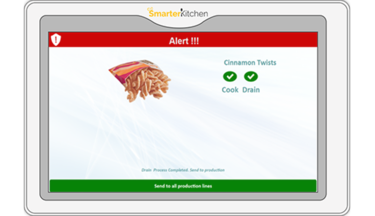 Smarter Kitchen’s shared item feature, allows you to share food items across all the food production lines. Smarter Kitchen uses POS transactions for cooking & holding time, and sales projection for prompt cooking.